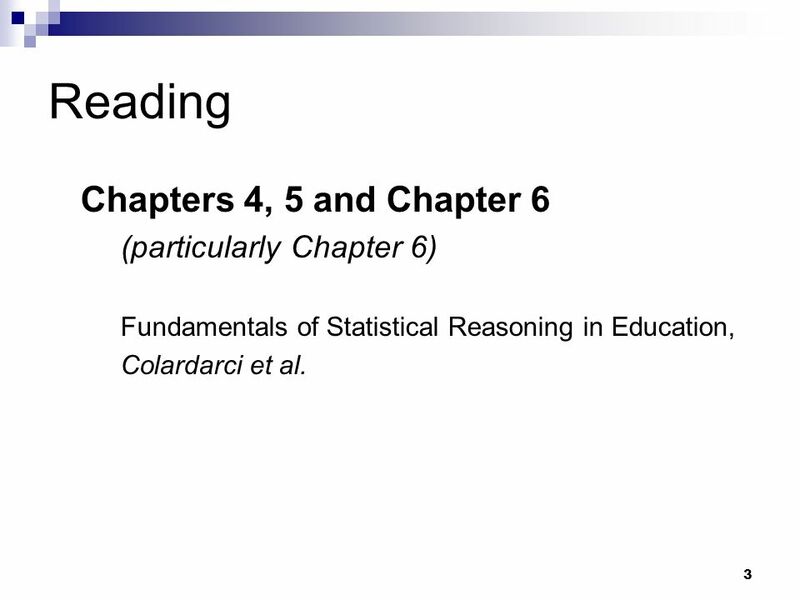 Fundamentals of Statistical Reasoning in Education, Colardarci et al. 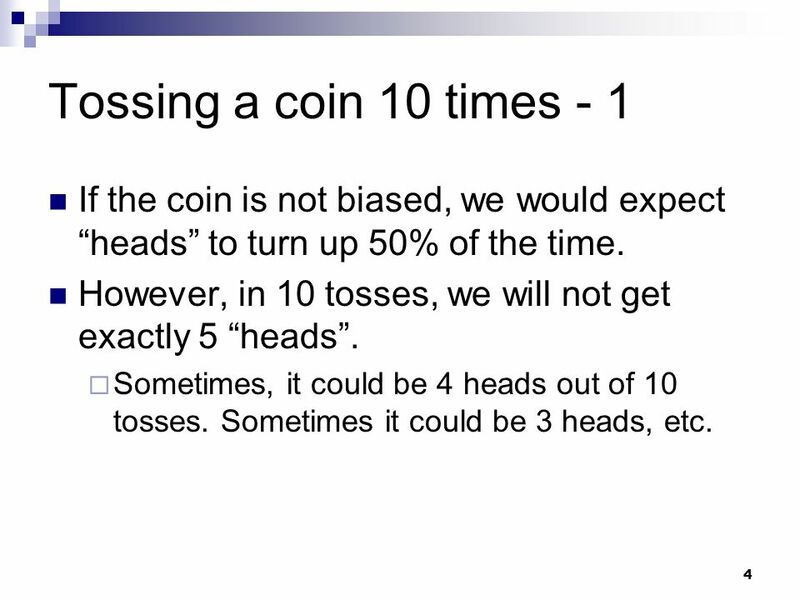 4 Tossing a coin 10 times - 1 If the coin is not biased, we would expect “heads” to turn up 50% of the time. 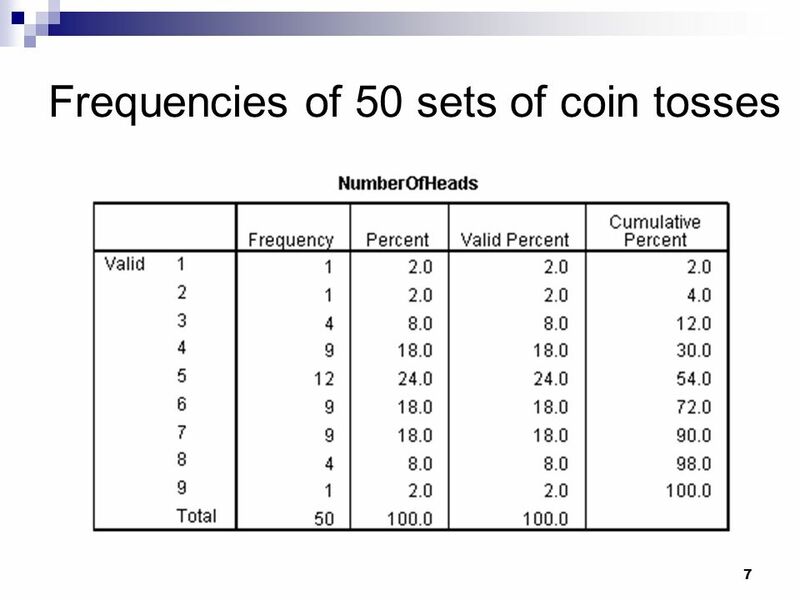 However, in 10 tosses, we will not get exactly 5 “heads”. 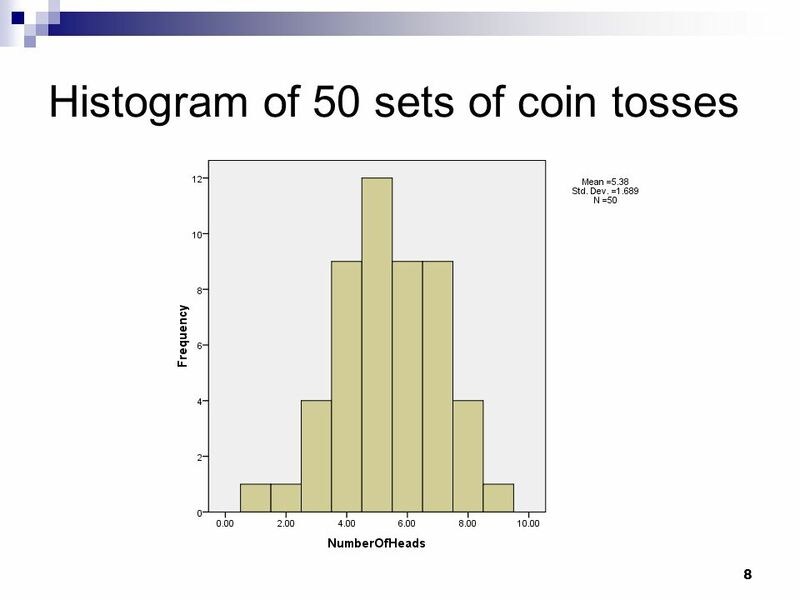 Sometimes, it could be 4 heads out of 10 tosses. 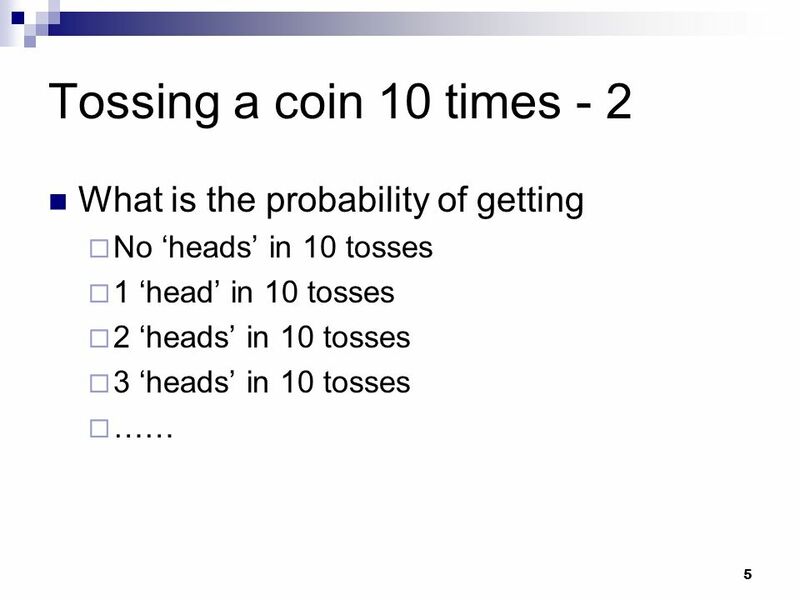 Sometimes it could be 3 heads, etc. 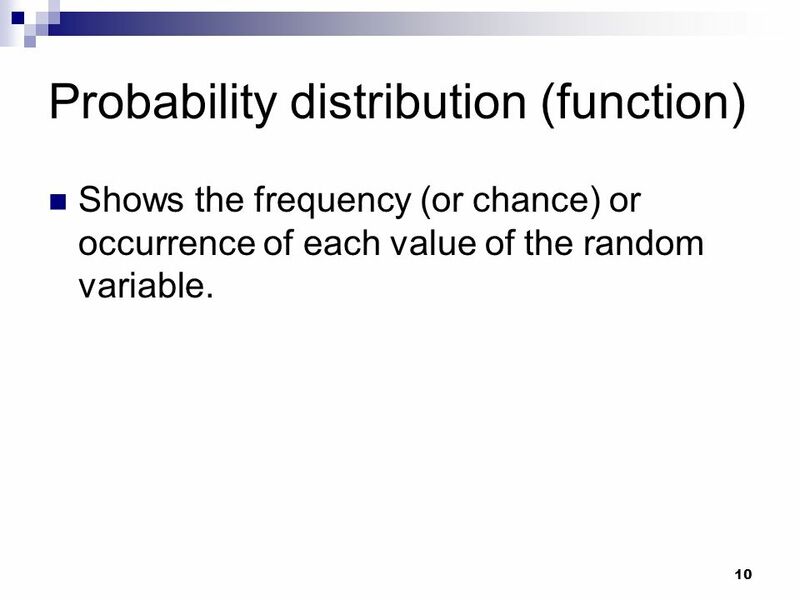 Shows the frequency (or chance) or occurrence of each value of the random variable. 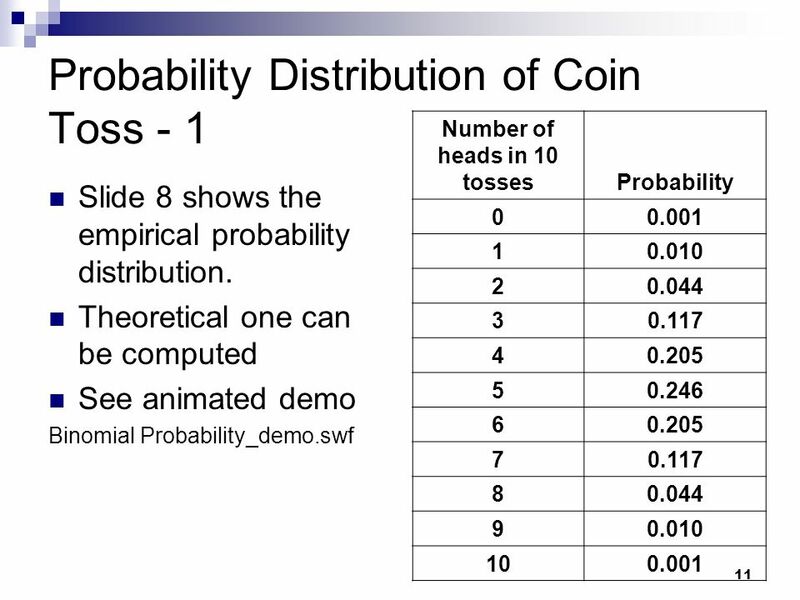 13 How can we use the probability distribution - 1? 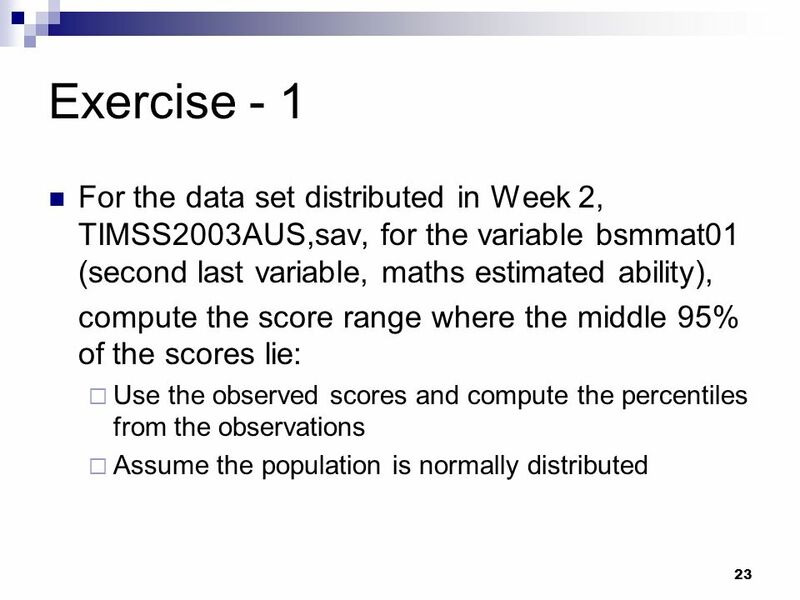 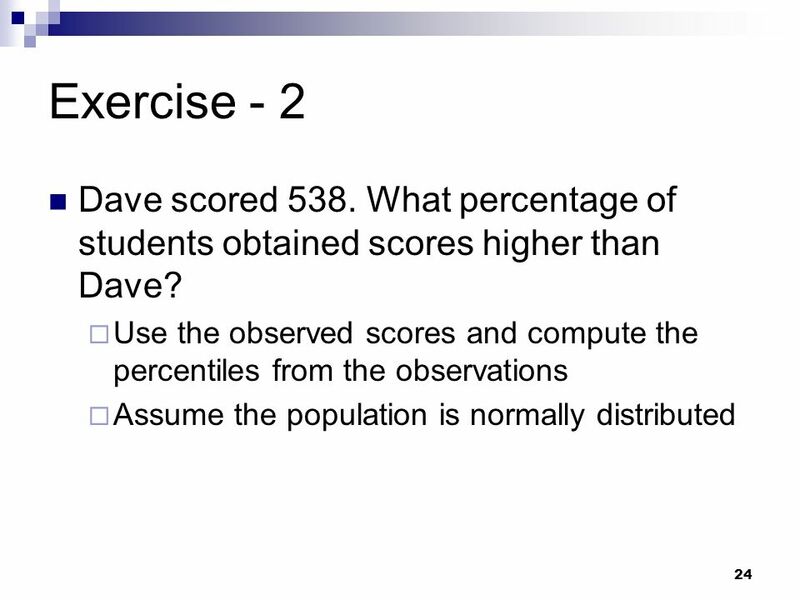 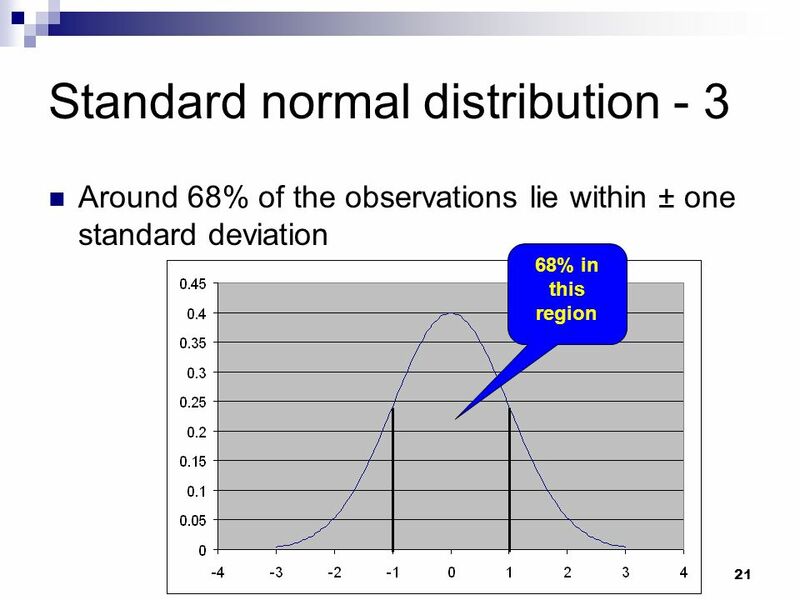 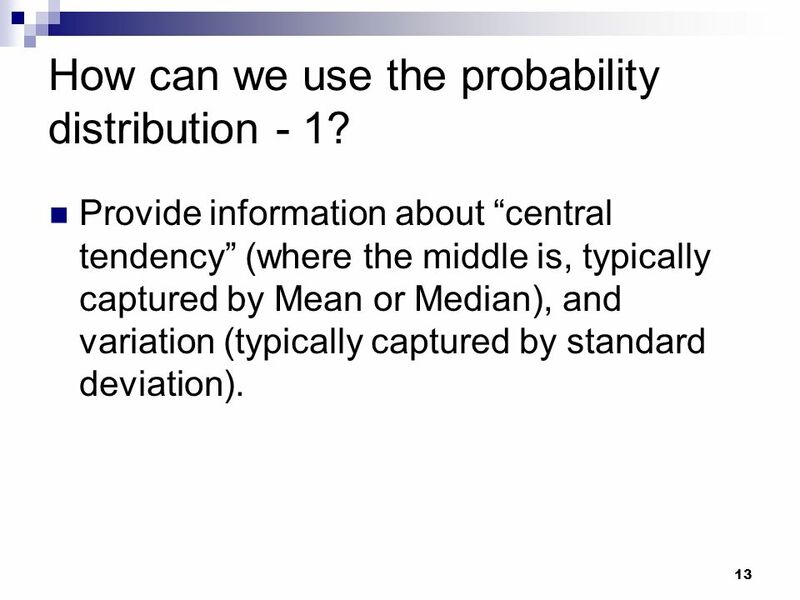 Provide information about “central tendency” (where the middle is, typically captured by Mean or Median), and variation (typically captured by standard deviation). 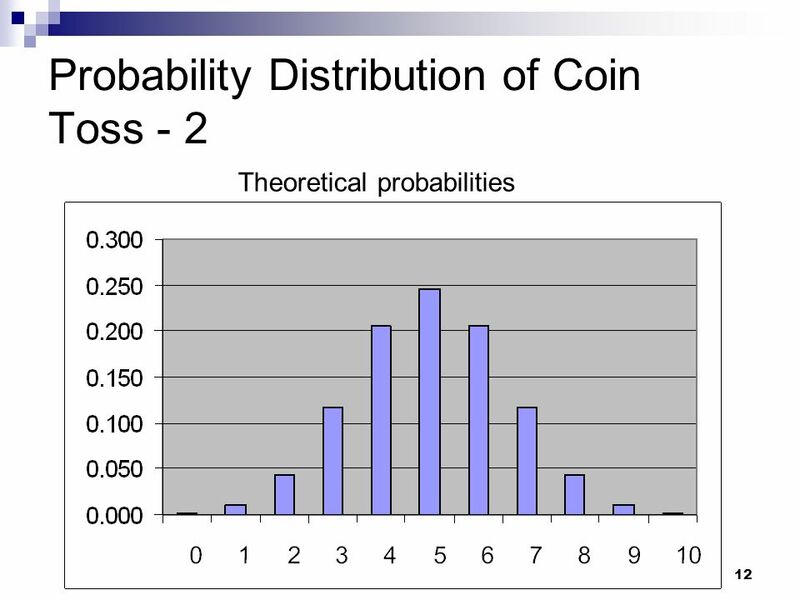 14 How can we use the probability distribution - 2? 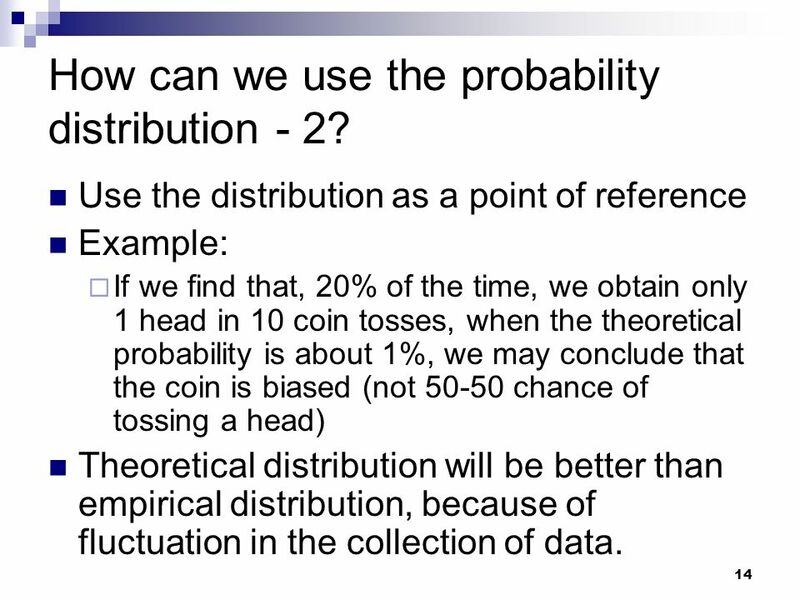 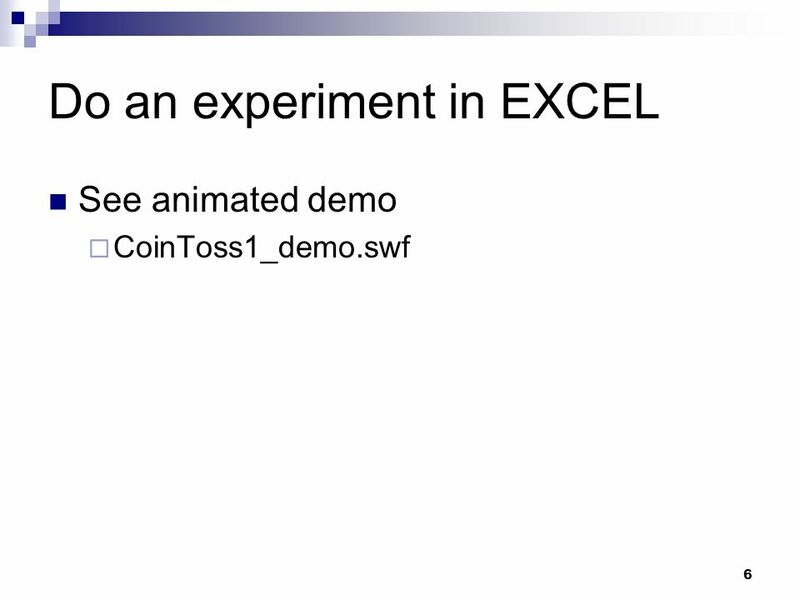 Use the distribution as a point of reference Example: If we find that, 20% of the time, we obtain only 1 head in 10 coin tosses, when the theoretical probability is about 1%, we may conclude that the coin is biased (not chance of tossing a head) Theoretical distribution will be better than empirical distribution, because of fluctuation in the collection of data. 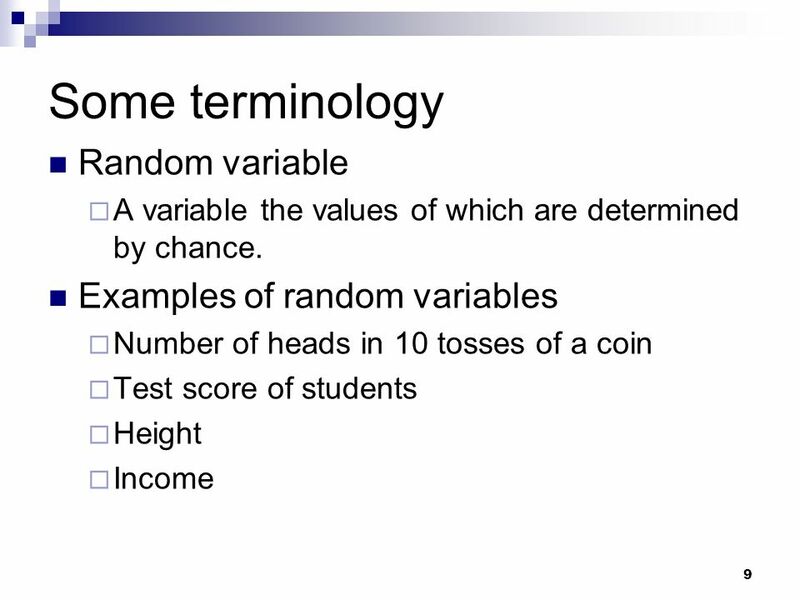 Collect a sample of height measurement of people. 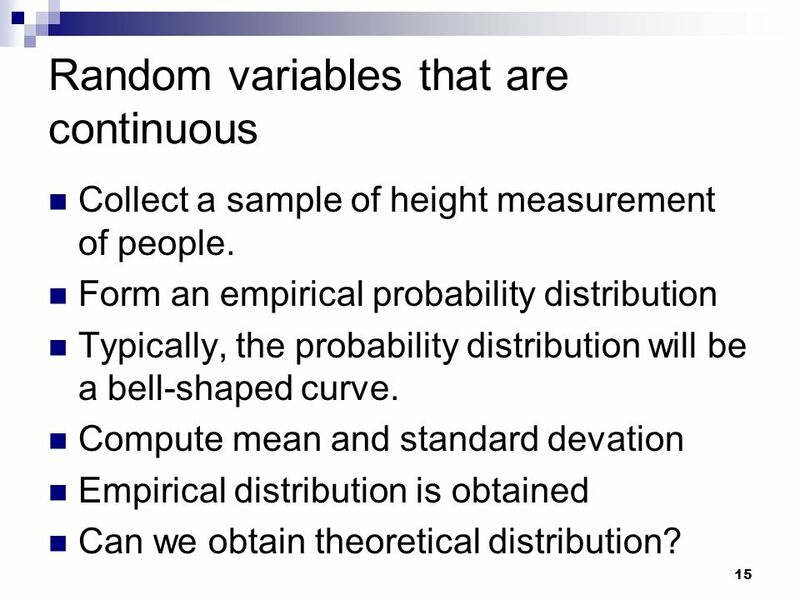 Form an empirical probability distribution Typically, the probability distribution will be a bell-shaped curve. 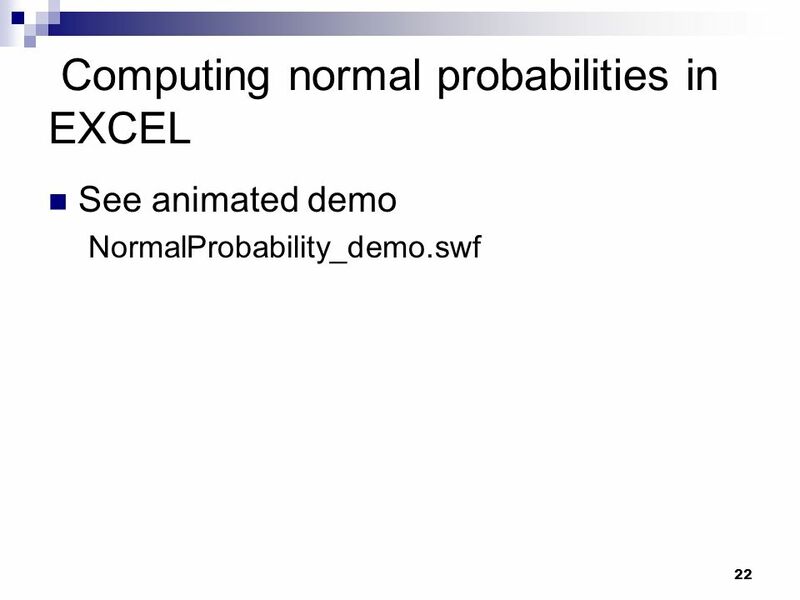 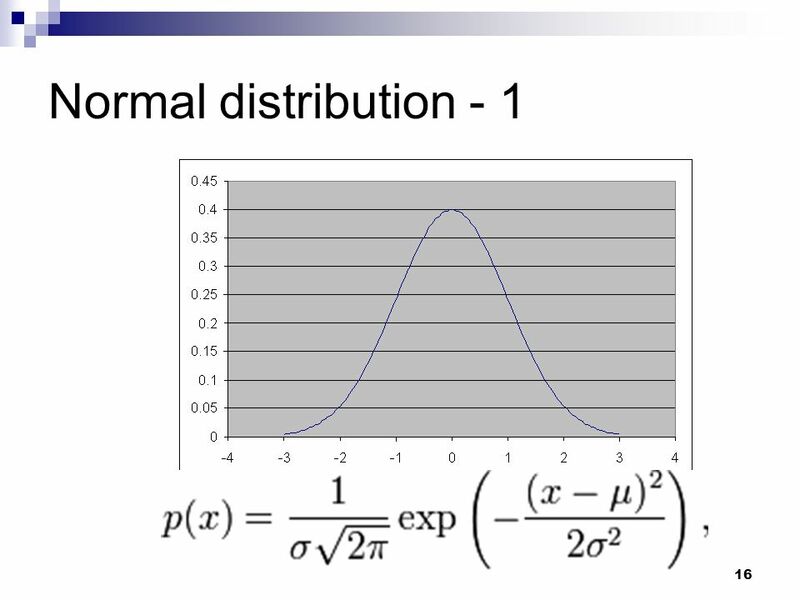 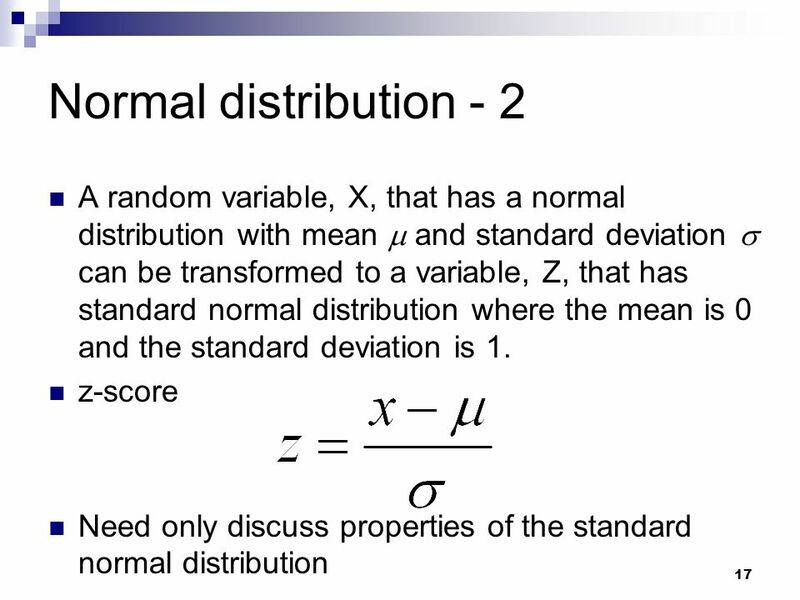 Compute mean and standard devation Empirical distribution is obtained Can we obtain theoretical distribution? 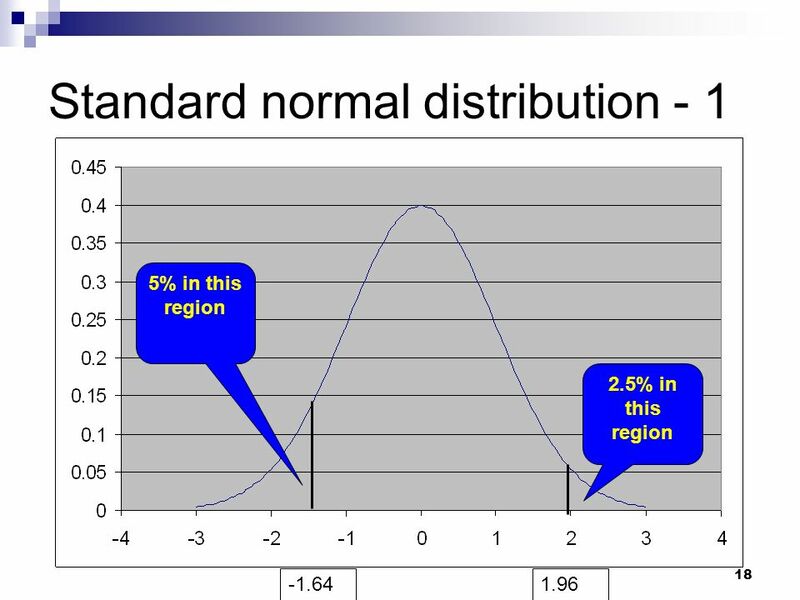 2.5% outside 1.96 So around 5% less than -1.96, or greater than 1.96. 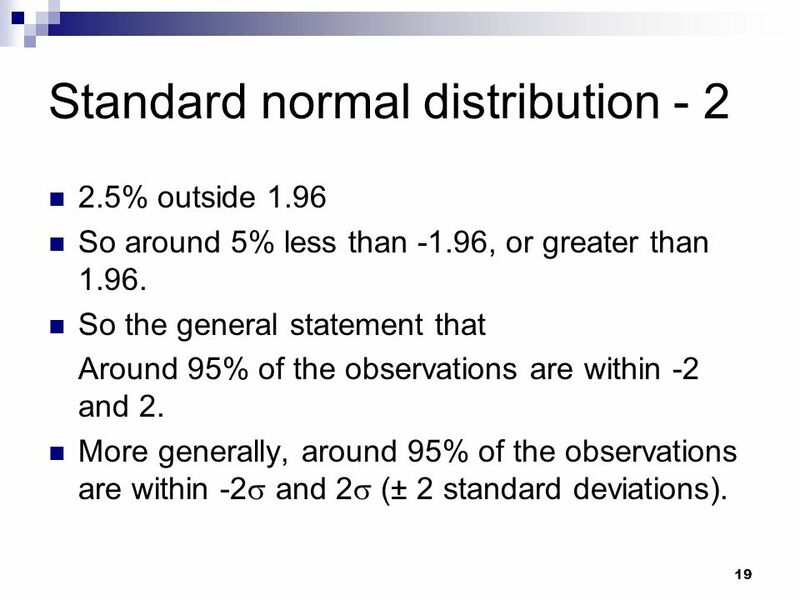 So the general statement that Around 95% of the observations are within -2 and 2. 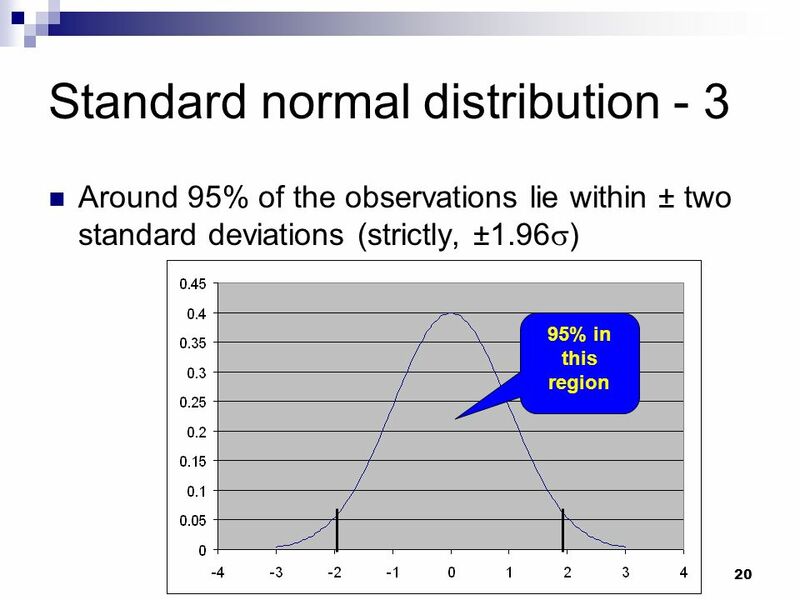 More generally, around 95% of the observations are within -2 and 2 (± 2 standard deviations). 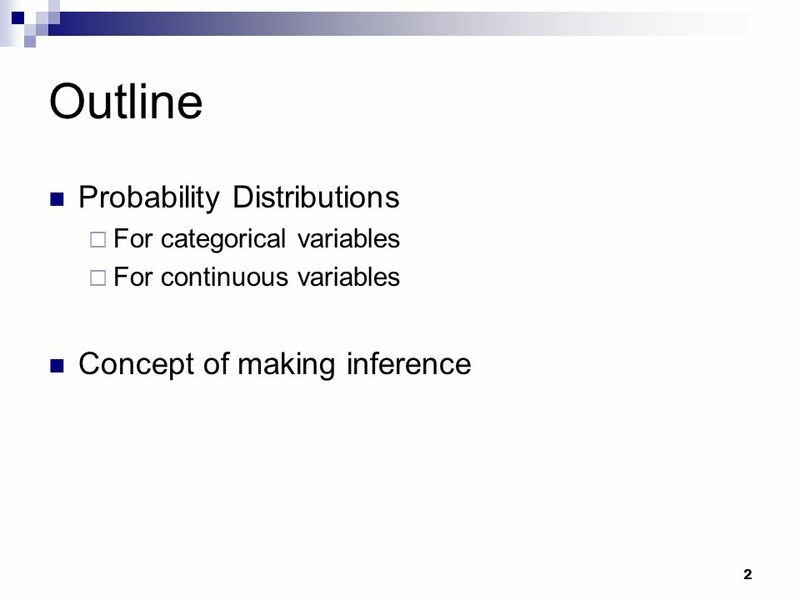 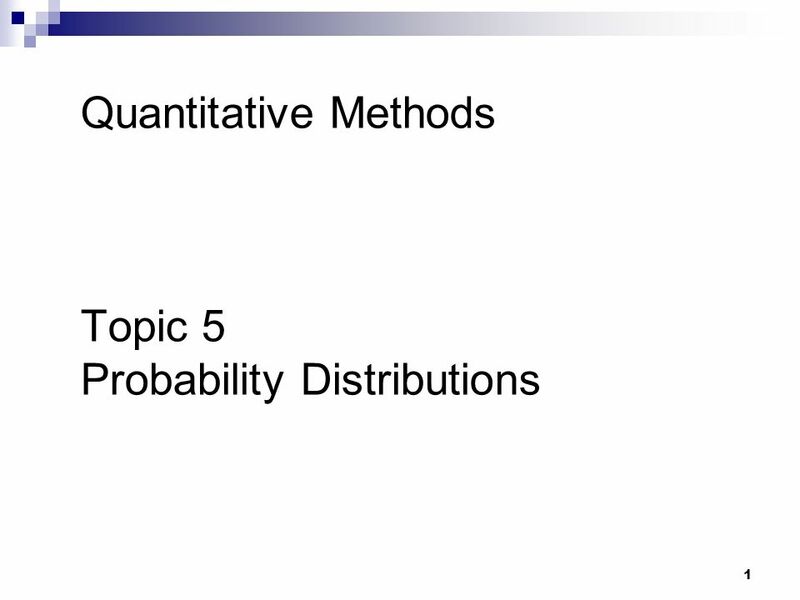 Download ppt "Quantitative Methods Topic 5 Probability Distributions"